Every year in the month of October, Glenview is plagued with the dizzying, heart-aching dilemma: Finding ways to do a DIY Halloween costume without breaking the bank. Save yourself a couple bucks by painting your own costume mask! Not only will you save yourself from a potential skin rash, you will be able to reuse the mask for many Halloween nights and costume parties to come! This is a great idea for last minute Halloween DIY costumes, putting your own original and creative twist to your outfits, and this is also good for any Halloween craft parties you might be hosting. 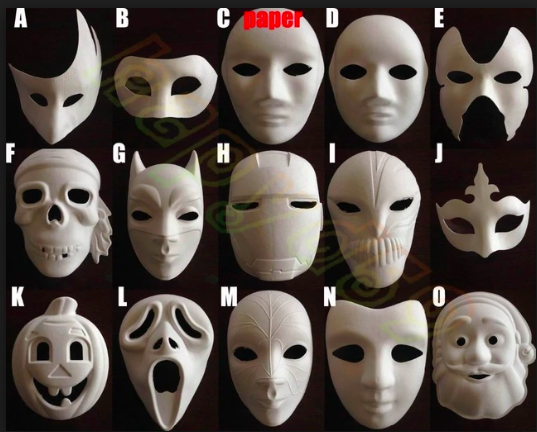 •	Cardboard or any face mask with a surface you can paint on! 7. While your paint layer is drying, tape a dowel to the backside of the mask if it will be a handheld face mask – the dowel will act as a handle for the mask. If one dowel is not stable enough to hold onto the face mask, use the masking tape to tape 2-3 dowels together to make a thicker handle. Then tape the dowel(s) to the backside of your mask! 8. Once your mask is dry, you’re free to use it for as many Halloween parties as you’d like!